Does your adventure include hauling extra cargo that won't fit or that you would prefer not to carry inside your vehicle? 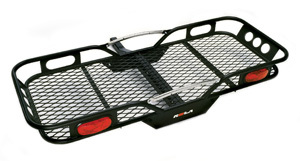 Whether you're on a vacation or running errands, our full line of Cargo Carriers are just what you need. 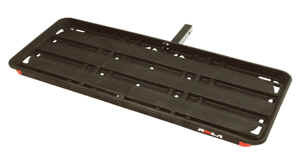 They expand the carrying capacity of your vehicle and are ideal for transporting bulky or messy items. Our Cargo Carriers, let you use the passenger compartment of your vehicle for what it's designed for - people.